This is perfect lucky keychain that can bring you lots of luck where ever you may go!! THIS ALSO CAN BE WORN AS NECKLACE TOO!! 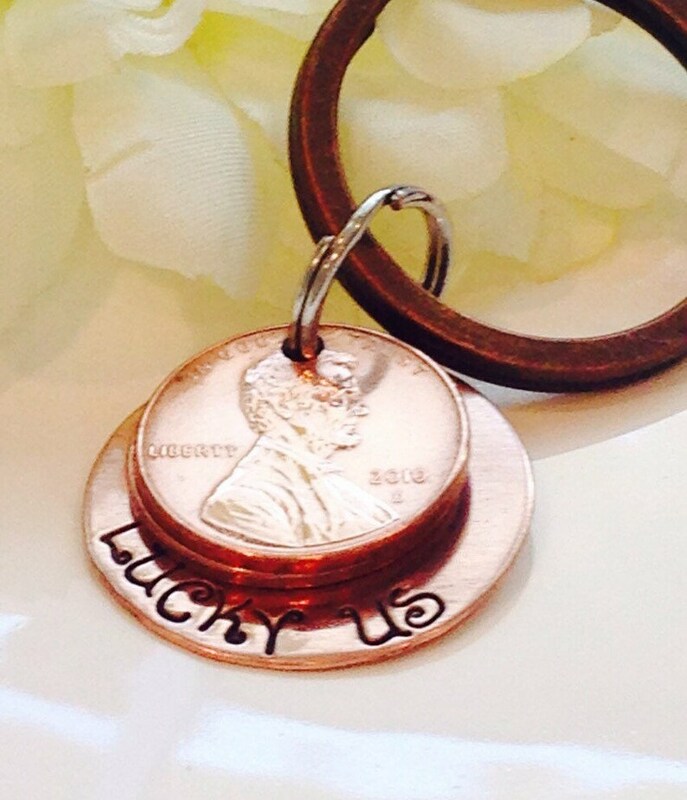 hand stamped behind these pennys lays a small copper disc that says "LUCKY US"
and if you choose a necklace in place of a key chain indicate chain length 18" or 24"
Beautiful necklace and very well made. I love the long length as well. Fast shipping, too- thank you! I thought I was ordering what's shown on the picture. Misunderstood. Received a diff. chain. But, my friend's daughter loves the necklace. Communication with Seller is good.